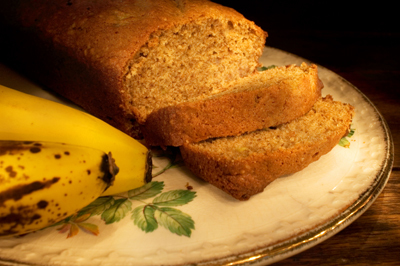 Banana bread is such a comfort food – and you can enjoy it even with your IBS restrictions. This recipe is grain-free, gluten-free, and dairy-free, but it tastes authentic and so delicious. Enjoy a slice warm from the toaster on its own or with a little butter. Preheat the oven to 300 degrees F and line a greased 9-x-5-inch loaf pan with parchment paper. Mix the almond flour, baking soda, and salt in a bowl. Combine the honey, mashed banana, and eggs and mix well. Pour the wet mixture into the dry ingredients and stir until well combined. Pour the batter into the prepared loaf pan and bake until a knife comes out clean when inserted, about 40 minutes. Let cool. Per serving: Calories 232; Fat 15.9 g (Saturated 1.6 g); Cholesterol 79 mg; Sodium 251 mg; Carbohydrate 18.2 g (Fiber 1.4 g); Protein 8.6 g; Sugar 10.6 g.